We get it okay, your working day is hectic, and you haven’t got time to do anything else. Wrong! Leave excuses at the door and buck your ideas up, it’s time to get fit during the working day, and we’re not talking about running around the block on your lunch hour! Keeping fit and healthy is so important, and you can use your time at work to help you achieve this as much as possible. On average we spend around 9 hours a day sitting around with very little activity or exercise (of course this depends on the job you do). The problem with this is that it means that your 1-hour gym session is unlikely to have any sort of impact. 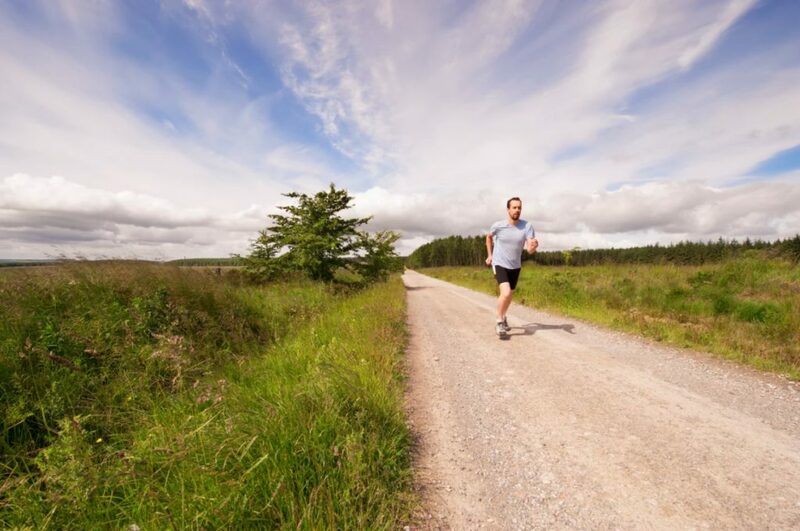 Keeping active during the day improves your mental well-being, keeps you healthy, and makes you feel great. Here are some of the things you can do to add exercises to your working day. Believe it or not, standing while you work can actually help you keep fit and burn some of those pesky calories! Just by having a standing desk, you can be sure you burn around 50 calories per hour. Yeah yeah, that doesn’t sound like much, but… if you stand for three hours a day, for five days, you’ll burn 750 calories a week. Okay, now we’re talking! You might not have standing up desks at work, but you should look for any opportunity to stand up where you can, this is actually doing you more good than you realize. A lot of workplaces these days are wising up to the fact that their employees want to be healthier. And, many of them are providing outlets for their employees to be healthy during the working day. You might have the opportunity to take a yoga class on your lunch break, and we definitely recommend you do. Yoga teaches you really great posture, as well as improving your mental well-being, getting rid of stress, and helping you relax. It’s the perfect choice for corporate high-fliers in stressful jobs! When we are at work, we feel like we’re too busy to be waiting around or taking time to do anything. Most of us will always choose the elevator over the stairs, given a choice. Well, we aren’t giving you a choice – take the stairs. Always! 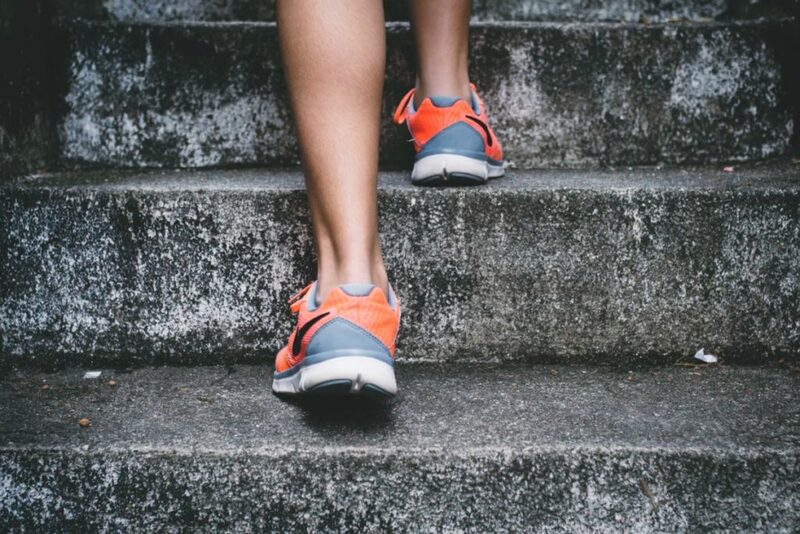 Walking up stairs works your muscles, gets the heart beating and the blood pumping around the body. It’s a great way of keeping at least slightly fit while you’re at work. Believe it or not, stress balls are actually a good thing, and they do have a positive impact on your health and mindset. They are great for toning up the hands and fingers, and keeping them dexterous, but, they are also essential for helping you to alleviate stress as much as possible too. Make sure you keep a stress ball, or more than one, on your desk so you can just pick it up and use it throughout the day. This is a good way of keeping on top of things even while you are hard at work. It’s so important to make sure you keep yourself in shape and do what you can to keep fit during the working day. We understand that this might be more difficult than it seems, but, you need to do what you can to try to ensure you keep fit at the office. Following our guide, you should come up with some great ideas to help you keep fit at work.